South Africa’s 2016 female Paralympians are the ideal embodiment of girl power. Kgothatso Montjane, affectionately known as KG, was born with a congenital birth defect in her leg and hands. This meant that she had no choice but to have her leg amputated below the knee at the tender age of 12. Unlike many other athletes, she only began playing her sport, tennis, when she was 20. 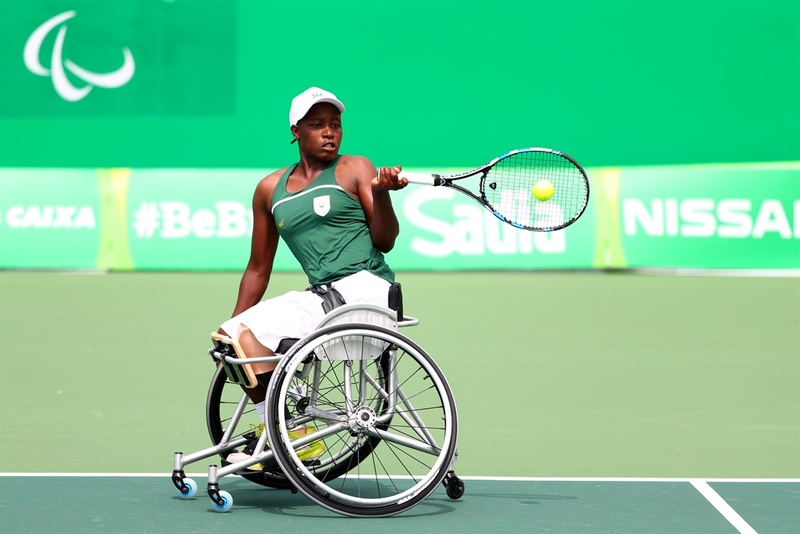 Nonetheless, KG has become the number 1 wheelchair woman’s tennis player in South Africa within just 6 years. She is also positioned 9th in the world on the International Tennis Federation (ITF) World Wheelchair Tennis rankings. She participated in the 2008 and 2012 Paralympic Games, making this year’s Games her 3rd. Other accolades include an astounding 29 singles titles and being the 1st African wheelchair tennis player, to qualify for the esteemed Nippon Electronic Corporation (NEC) Wheelchair Tennis Masters, and Invacare Doubles Masters. Sandra Khumalo’s lower body was left paralysed, when the Land Rover she was in smashed into a truck on her way to work at a safari lodge in the Kruger National Park. After the accident, she moved to Durban where she was approached by the Midlands Rowing Club, who was seeking athletes. Following that, she joined the Durban Rowing Club and attended a training camp for the South African national rowing team. 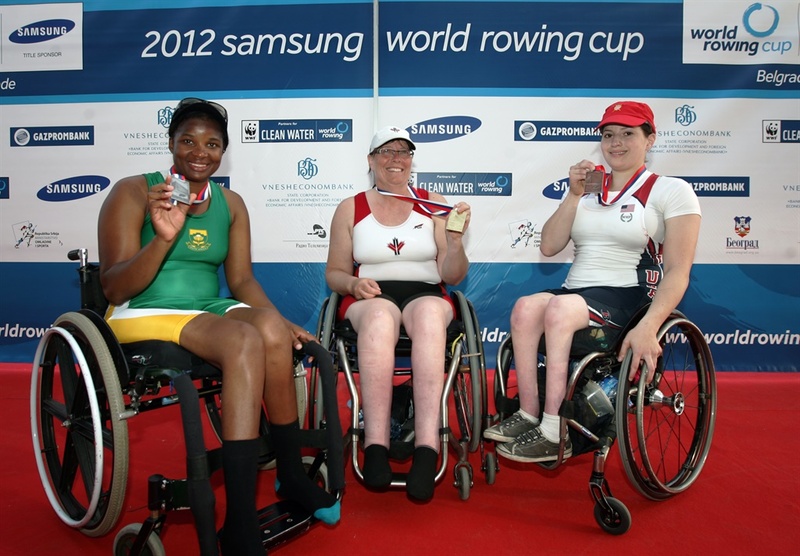 Winning a silver medal at the Paralympics Qualification Regatta in Serbia, earned Sandra a spot to partake in the 2012 Paralympic Games. She was also the only female rower on the South African team! Once she won her final race at the World Championships in France last year, she was positioned among the top 8 boats. This made her eligible to participate in this year’s Paralympic Games. Philippa Johnson suffered not one, but two misfortunes before becoming the champion equestrian that she is today. A tragic car accident resulted in a substantial eradication of strength in her right leg and arm. Her determination ensured that she was back in action within a year. Disaster struck for the second time when she mounted her horse unsupervised, lost her balance and fell. 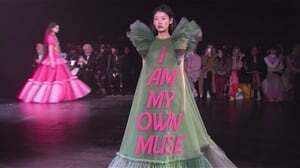 This time, she broke her back. Nevertheless, she soldiered on and learnt to ride again. Philippa’s dream came true when she rode her way to the finish line at the 2004 Paralympic Games, winning two silver medals. She continued to train in Europe in preparation for the 2008 Paralympic Games. 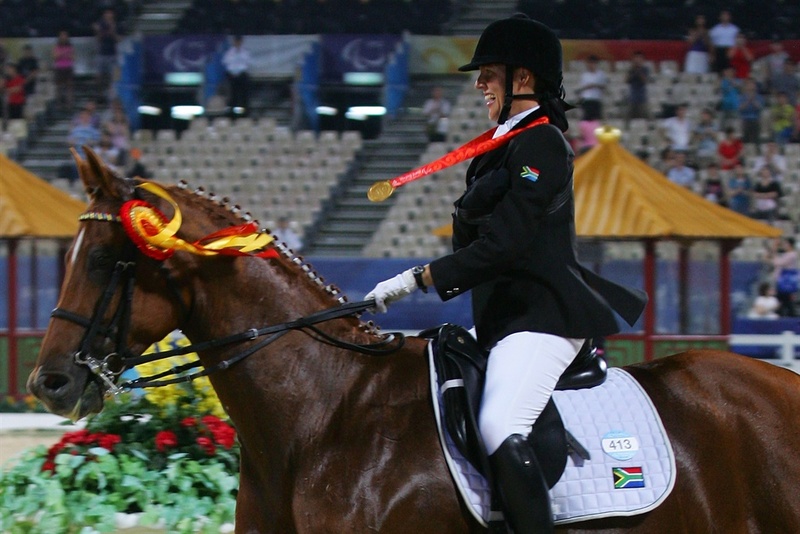 There, she made history by winning South Africa’s first equestrian gold medal. It was also the first time that a full equestrian team represented the country at the Games. When her spinal cord picked up a TB infection, Zanele Situ became paralysed from her fourth vertebra down. 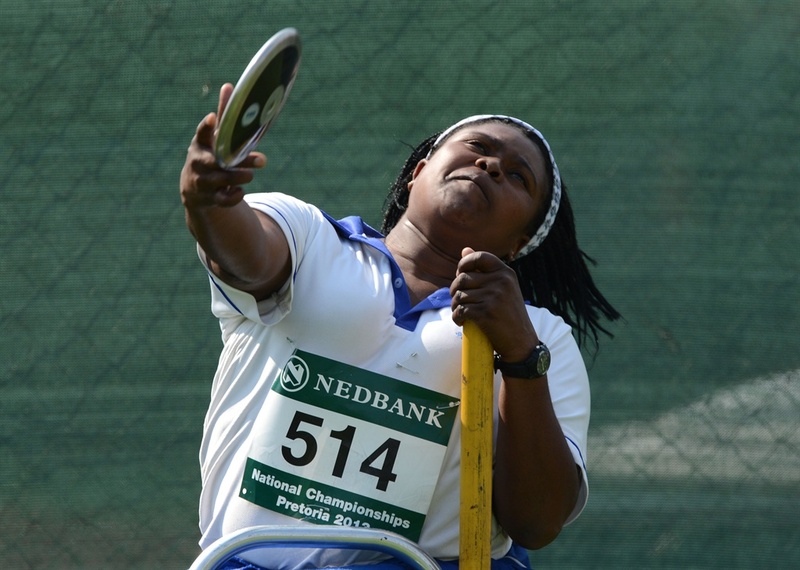 She was schooled in Umtata where her teachers encouraged her to practice javelin. At the 2000 Paralympic Games, she became so daunted by the huge audience that she wanted to withdraw from the competition. However, she did not allow her nerves to get the better of her. Zanele not only became the country’s first black woman to win a Paralympic gold medal, but broke a world record! She exceeded the previous record of 11.50m by over three metres, throwing 14.78m. As if that wasn’t remarkable enough, she also attained a silver medal for discus. What adds to her string of achievements is another gold medal at the 2004 Paralympic Games. At this year’s Games, her 5th and final, the 45-year-old bagged a bronze medal for javelin. There is much more to Louzanne Coetzee than meets the eye. Born blind, she was schooled at the Pioneer School for the Visually Impaired in Worcester, away from her home town of Bloemfontein. She was the country’s top matric achiever for people with special needs in 2012, and later studied Communications at the University of the Free State. 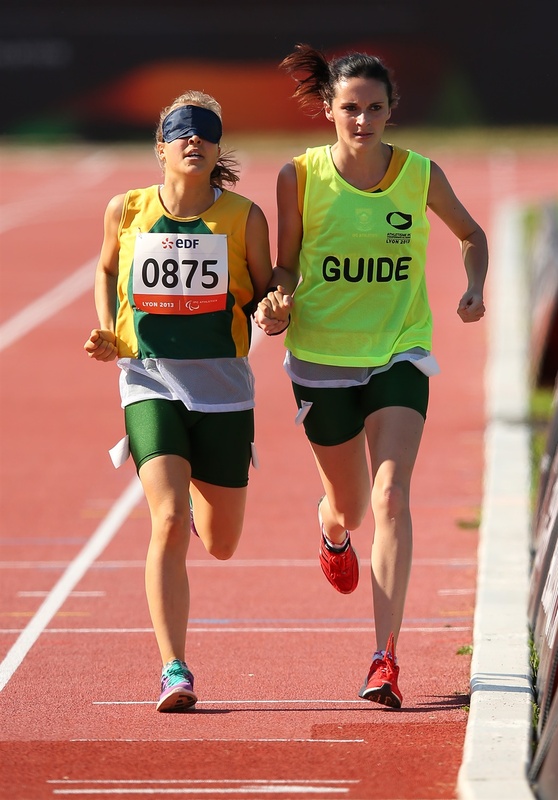 This bright spark began religiously training for athletics in 2012, and started participating in the national championships for the disabled in 2013. That year, and in the following 2 years, she won a gold medal at the competition for the 800m sprint among other events. 11-year-old Ilse Hayes was diagnosed with a condition known as Stargardt’s disease, which impacts the central vision and the capacity to see elementary details. Not at all intimidated by this, she participated in athletics in 2001. Just 1 year later, she was named a 400m world champion at the International Paralympic Committee (IPC) Athletics World Championships in France. At her first Paralympic Games in 2004, she won a bronze medal for the 400m sprint. 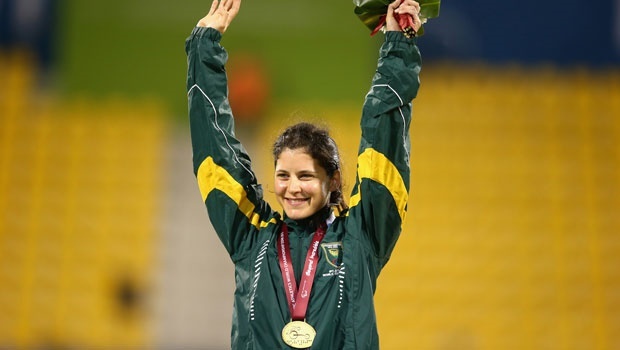 Ilse’s success continued at the 2008 and 2012 Games. In 2008, she netted a gold medal for long jump and a silver medal for the 100m sprint. In 2012, she earned herself another silver medal for long jump. When she’s not running or jumping her heart out, Ilse works with children on a community project at the University of Stellenbosch. Her work centers on motor development within sports. She also has an Honours degree in Pediatric Sciences. Augusts Olympic issue of Womans Health SA is on SALE NOW! Show support for your Olympians and get behind your team. #TeamSARise ???????? Photo taken by: @seanlaurenzphoto ?? As a young girl, Shireen Shapiro had her heart set on becoming a gymnast, but was persuaded by a friend to give swimming a try. Sadly, she was involved in a grave accident in the Vaal Dam whereby the propeller of a boat tore her body in two. After a 5-month stint lying flat on her back in hospital, she spent 2 years teaching herself to walk and swim again. Shireen’s 1st races after recovery, as an able-bodied swimmer, were disastrous and saw her losing to athletes she had previously defeated. Plenty of tears were shed before her mom swayed her to partake in a race for disabled swimmers. 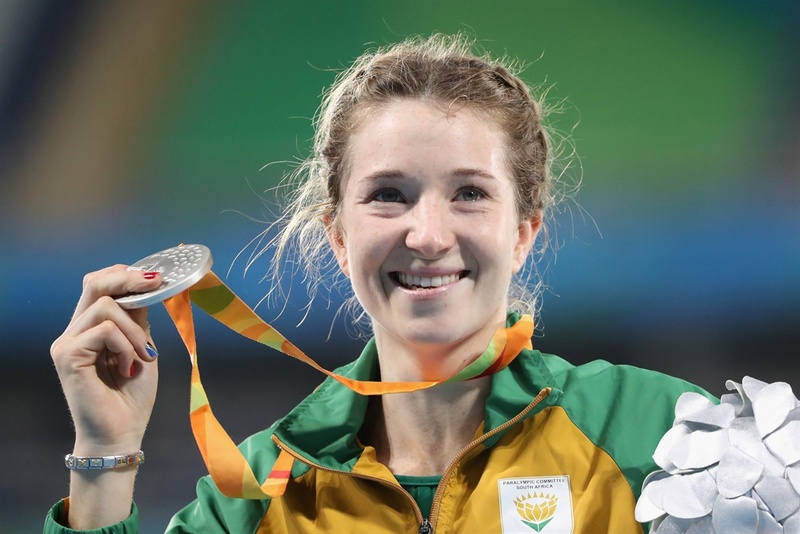 When she broke the South African record, she had a change of heart and decided that instead of being an Olympian, being a Paralympian was her true calling. She broke yet another record and won a gold medal at her first Paralympic Games in 2008. The 2012 Paralympic Games put no stop to her accomplishments as she seized a bronze medal. Being born with a short left arm was in no way a deterrent to Anruné Liebenberg’s athletic victory. At the 2012 Paralympic Games, she had both a silver and bronze medal around her neck, for the 400m and 200m sprints respectively. Before running in this year’s Games, she endured two knee operations. In November of last year, following her partaking in the World Championships, she had a cartilage removal. Shortly after her return to training, she unluckily hurt her knee again. The outcome was a bucket handle tear, causing a removal of 60% of her meniscus in May. Given that, it was miraculous for Anruné to be able to participate in this year’s Games. She certainly made the most of her opportunity by winning a silver medal in the 400m sprint- South Africa’s 9th medal of the 2016 Paralympic Games and a replication of her coup in London in 2012. Emily Gray was a passionate runner and surfer whose life took a catastrophic turn when she contracted osteosarcoma, a type of cancer. Because chemotherapy was not effectively decreasing the cancer, she was forced to make the near impossible decision of sacrificing her leg or her life. She chose to live her life to the fullest by embarking on her swimming journey at Mandeville Sports Club. Living in Johannesburg gave her the amazing privilege of training with top athletes like Taghd Slattery and Natalie Du Toit. Within 5 years, Emily had made her way to the Paralympic Games, competing in both the 2008 and 2012 Games. She is currently sponsored by the High Performance Centre at the University of Pretoria, where she studied Sports Science. Matric pupil Alani Ferreira was born with a genetic mutation, Stargardt macular dystrophy, which results in gradual elimination of central vision and ultimately colour vision. As a toddler, she was rather averse to swimming, although continued swimming as an able-bodied athlete until she was 10. She decided to quit in favour of hockey and tennis, but after her diagnosis a couple of years later, she jumped into the pool again. At her 1st gala as a disabled swimmer, she won a whopping 8 gold medals, leading her to take a drug test. However, Alani proved that her feats were due to sheer talent and hard work, when she qualified for 4 events at this year’s Paralympic Games. In the face of her participation in the Games, she is adamant about graduating as a member of the Matric Class of 2016.